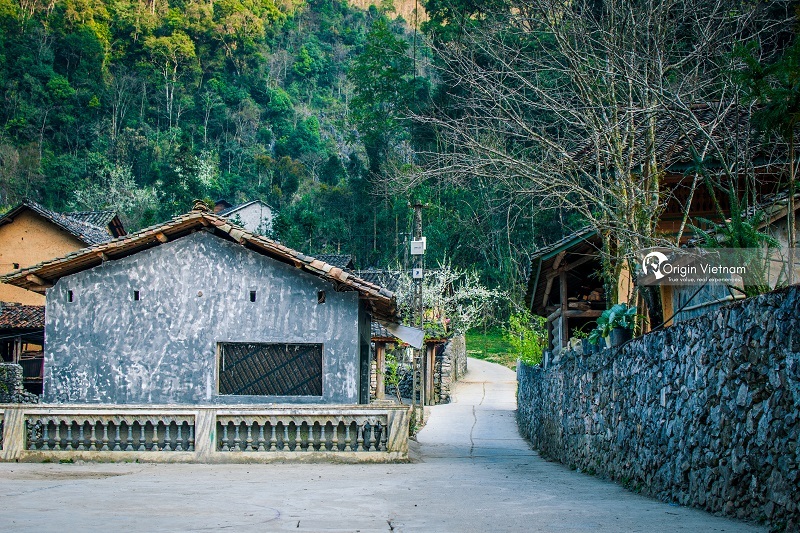 Sung La located on the highway 4C, connecting the towns in the land of Ha Giang. It's more than 20km away from Dong Van district, anyone coming to this land will have the opportunity to go here. First of all, it is quite peaceful, suitable for those who like to wander around to take pictures or explore the culture of the people here. How Sung La is unique? From Yen Minh to the town of Pho Bang. Where the beautiful pass with a hug green valley. It's the highest point and most beautiful to see the panorama of this area. This is the most beautiful highland commune in the whole Dong Van Plateau. On the way down the sky looking downward, you will see the Sung La as a natural picture of peace, beautiful. Grass is in the middle of the limestone mountains undulating, dark in color, the house solid with fade roof color. Upstairs, the color of the corn in the soybean mixture is dried. Beside that you may see a Sailor girl is weaving in the loom. Most of them they can not speak Vietnamese or other languages fluently. But they always friendly and smile when visitor come to visit. The H'mong in Sung La is planting a triangular and flowering plant on the up hill. But growing corn, rice in the land where the flat and bottom of the valley. You will have chance to see the green of the corn, rice, purple flowers of triangular flowers and yellow sunshine is the dark blue of the forest. When is the most beautiful time to visit Sung La? Spring is also the most beautiful season of this land as the flowers bloom throughout the high plateau.The fields of flowers make the natural scene which is harsh, cold and turned into a beautiful picture. And rustic people here also contribute to the beauty of this area. The simple roof, the porch hissing baby laugh laugh. Out there, the children with colorful scarf playing in the field. The sunset is slanted oblique sweet color, creating the scene is so poetic. 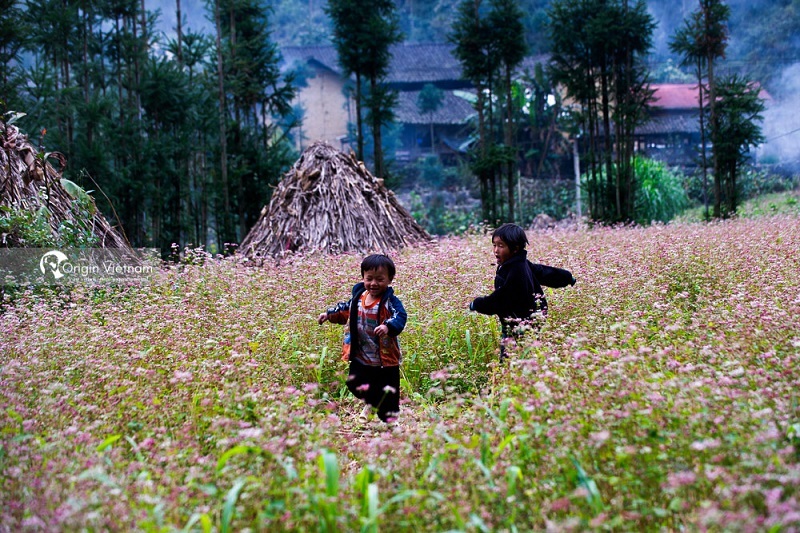 Few tourists like to travel to Ha Giang for real experiences. They often visit the Sung La and try to capture the beautiful scenery. Sometimes they even ask people to sip water, or to visit the market or leisurely look at nature. Lung Cam culture village is the most highlight in Sung La. Coming to the cultural village of Lung Cam, will leave in each person's heart a special feeling of human beauty. Special features in material culture and intangible It is preserved almost intact here. The village is located between the romantic valley, with 61 households living in the walls of ancient houses. All houses here made nearly 100 years ago. The home of three ethnic groups Lo Lo, Mong and Han ethnic group. Of which the Mong ethnic group makes up 85% of the population. There are many artisans who still keep many songs of their ethnic groups with traditional songs, folk songs and musical instruments. The materials used to make the houses are collected and produced locally. From the soil to the walls, tiles, wood, including stone fences around the house. The process of building houses of people in the Northern Highlands in general and people here in particular are hand made 100%. The tools to work on the production, life activities of people here will be interesting discoveries for visitors to visit. All show the hard work of the people as well as their cultural activities and bring the typical life of the people in the uplands. It was so, that this place attracts many photographers, filmmakers and is where the source composed many works of art, in which case: Village Lung Cam has been selected as the closing film "Story of Pao" this film won the" Golden Kite Award "of the Vietnam Film Association. It's truly amazing Ha Giang. 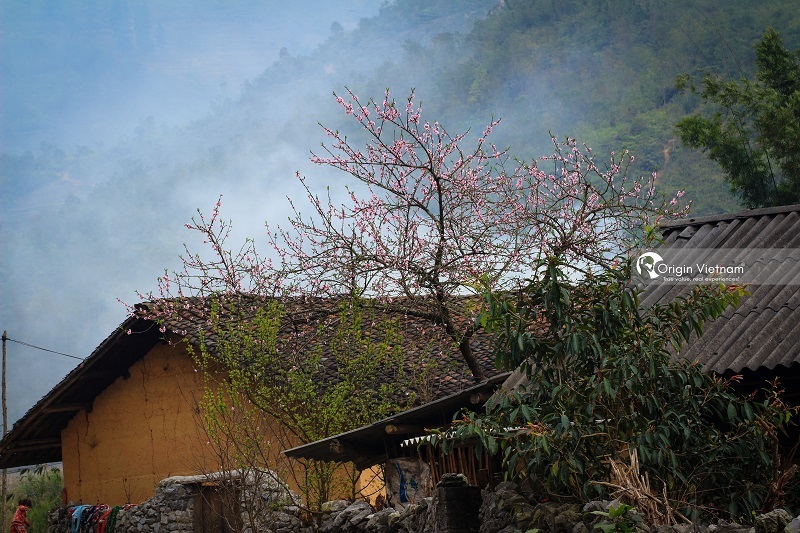 Hope you have a wonderful time in Ha Giang. 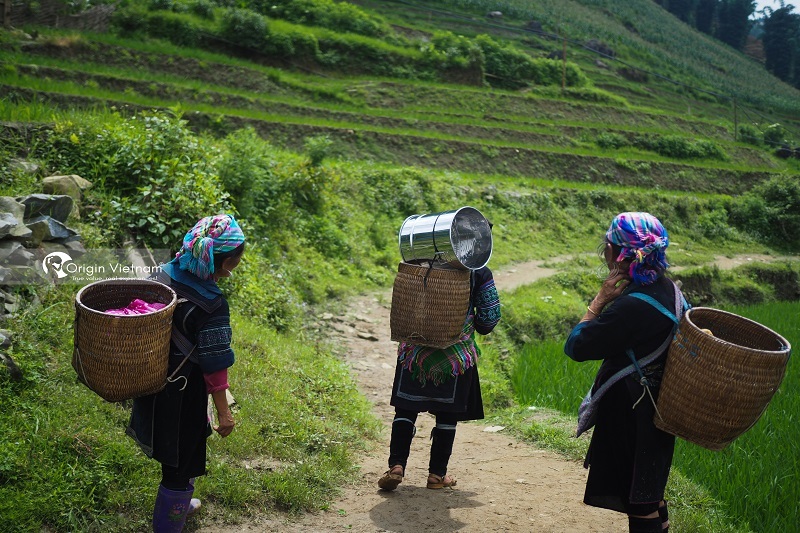 Don't forget to read our homestay recommendation in Ha Giang here.